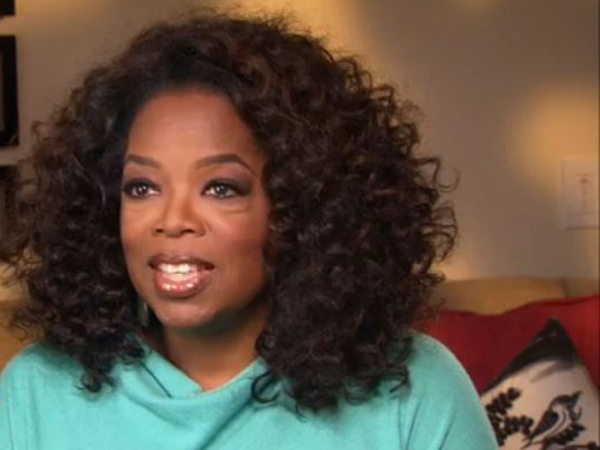 Oprah Winfrey will publish a compilation of essays entitled What I Know For Sure on September 2. The media mogul will publish a collection of essays, entitled What I Know For Sure, which will be compiled from the monthly piece she has published in O, the Oprah Winfrey Magazine for the last 14 years on September 2. The essays will be grouped in the book by theme, with topics covered including gratitude, joy, awe and possibility, and the tome will "offer a rare, powerful and intimate glimpse into Oprah's inner life - her thoughts, struggles and dreams - while providing readers a guide to becoming their best selves." Meanwhile, Oprah - who has previously published two weight loss manuals and a behind-the-scenes guide to the making of 1998 movie Beloved - has paid tribute to her best friend Gayle King. The 60-year-old talk show host has been close to her pal for almost 40 years after they bonded over bad weather which led to Oprah lending Gayle some underwear. She is quoted by the New York Post newspaper as saying: "I want to say officially how proud I am of my friend Gayle King." "Back a lifetime ago, 1976, Baltimore. We were both on a local TV station. She was a production assistant. I was an anchor. We became friends, especially after a big snow storm. When she couldn't go out, get home and didn't have enough clothes, I said, 'OK, you can have my underwear.' But then I added, 'And don't return it.'" "When time came and things happened to me, I asked her to quit her job and come to my new Oprah magazine to help me. But the truth is, the whole time I felt guilty taking her away from TV because I know how much she loved it. And now she's doing so well, and I'm thrilled for her. Mostly because at least she can have her own underwear."